You may remember that back at the end of March last year, I posted a battle report from a playtest that I had been involved in at Lard Island. That playtest was for The War of 1812, a supplement that was being written by my very good friend and fellow podcast host, Mike Hobbs. The 65 page book is available in PDF format. The book contains an overview of the war, notes and new rules for each army, plus full army lists for British & Canada and the United States for use with Sharp Practice. 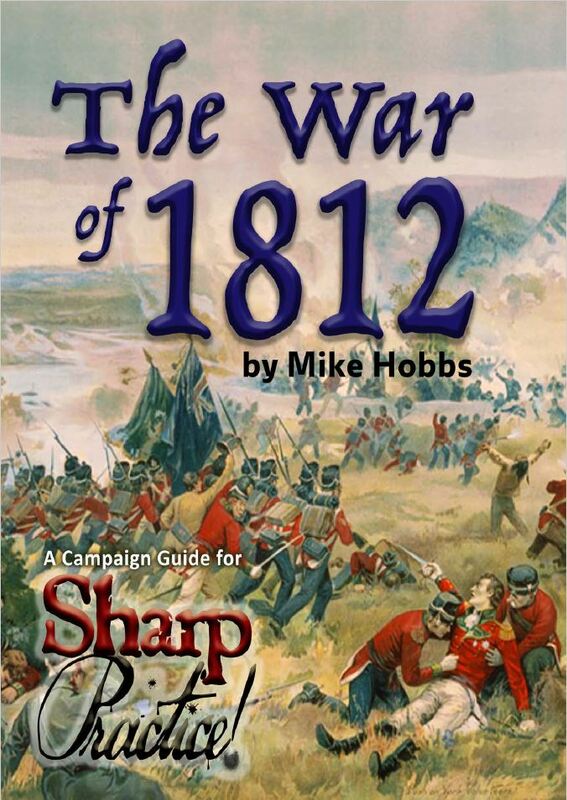 Whilst enabling the gamer to use Sharp Practice to recreate battles in the War of 1812, the book concentrates on the actions of the 41st Regiment of Foot during the war, and indeed the 7 scenario campaign contained therein details some of the famous actions in which this unit participated during the conflict. This book is a real labour of love, and Mike’s enthusiasm for the subject matter is very apparent. I’m sure I can persuade Mike, shy and retiring person that he is, to talk more about this on a future podcast – now that he’s actually allowed to tell us about it, of course! My good friend Marshall Barrington of Command Post Games has recently launched a kriegspiel style series of games starting with Brandywine called “Pub Battles”. Coming soon will be little big horn and Antietam, followed by Austerlitz. I mention all this because I am going to buy buy a copy of Mike’s 1812 rules to investigate whether or not this would be a good subject for Pub Battles. PBs is a quick play rules lite block style system that is played on beautiful canvas historical maps. I am a bit of an anomaly to your site since I don’t game with minis. I do, however, enjoy high quality components and your blog!